A wise friend once told me that guilt is self-inflicted. We have the choice to be like Teflon and let the guilt slide off. Or, act like human Velcro, and make sure not to let it go. It’s a choice. I know a little something about guilt. And I’ve erred more on the Velcro side of life. I learned how to harness guilt the old fashion way – 12 years of Catholic school and the DNA trait to savor a fresh batch of guilt like a fine filet mignon dinner. Guilt is taught and bred and I was a good student. But Single Mom Guilt is like regular guilt, on steroids. My son is the unfortunate recipient of divorce. With my parents still happily married after 51 years, and my brother for 25 years, I wanted “that” for my kid. My aspirations did not go according to plan. Start layering the guilt. When my son hears his friends or cousins talking about an upcoming summer family vacation, he looks at me with longing and asks, “Will we ever be able to go on a vacation?” Ouch. With job lose from a single income and mounting debt, a vacation is a foreign concept. Although I have childhood memories of our family vacations, I can’t provide the same for my son. Add another layer of guilt. So when my son asks for something that maybe I can provide, I don’t always make a sound financial decision. Last year, my son had been bugging me for a phone. Of course, everyone in school had one—except him. But not any phone. An iPhone. He was the only kid who didn’t have a phone. Now single mother guilt may course through my veins, but I’m not a fool. No, I don’t want to buy that bridge you’re selling. I know there are plenty of kids without phones or have the old-fashion cell phone that just makes calls. But maybe I could provide my son with something to feel like he belonged, rather than another thing he couldn’t have because his mom couldn’t afford it. Yes, I know plenty of two-parent households who deny the child’s “need” for the latest technology. But I believe there is strength in numbers. Two parents against one kid will always win. Or at least most of the time. So I found myself in Radio Shack and my son gazing at the iPhones. I knew I was done. And with no partner to talk me down off the ‘cliff of guilt,’ I just added $65 to my monthly bills. Single Mom Guilt can come with a literal cost. So what’s the lesson? Well, there are a few. First, the Single Mom Guilt will not vanish by buying something for our kid that our logical self knows they don’t need. It may ease the guilt temporarily, but it does not eradicate the ache of guilt. Second, know your weakness. The next time you find yourself driving to the store for something to ease the guilt, take a friend, your mom, sister, neighbor – anyone – to provide strength, logic and support the affliction of Single Mom Guilt. Third, change the perspective. Rather than focus on what you can’t give your child, focus on what you can give them. Unconditional love is free. And so is time together playing Monopoly on a Saturday night. And what about a bike ride or a trip to the beach or park? Last time I checked they were free too. 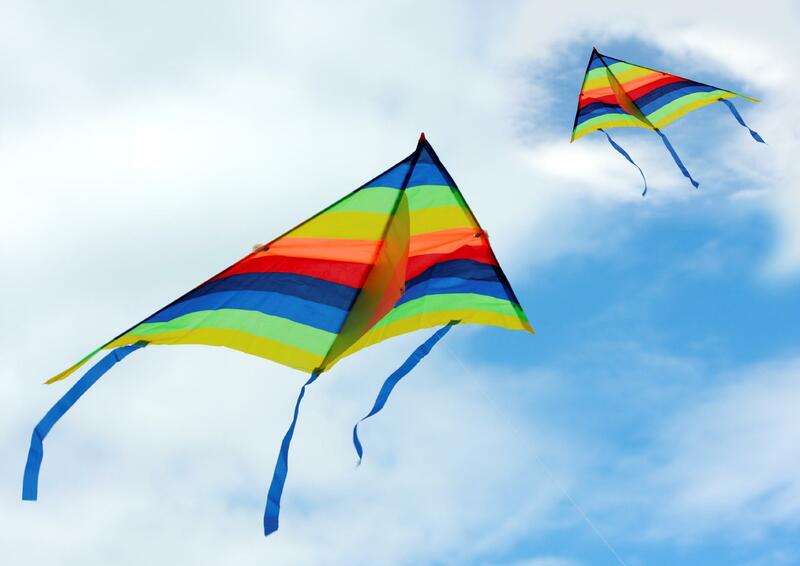 And on the way, stop at the Dollar Store for a kite—and you have all the makings of childhood memories, guilt free. What guilt-free memories are you creating? Tags: single mom, single mom guilt, unconditional love | Permalink.